There is something about Koolaide that reminds me of summertime! The flavors smell SO yummy! 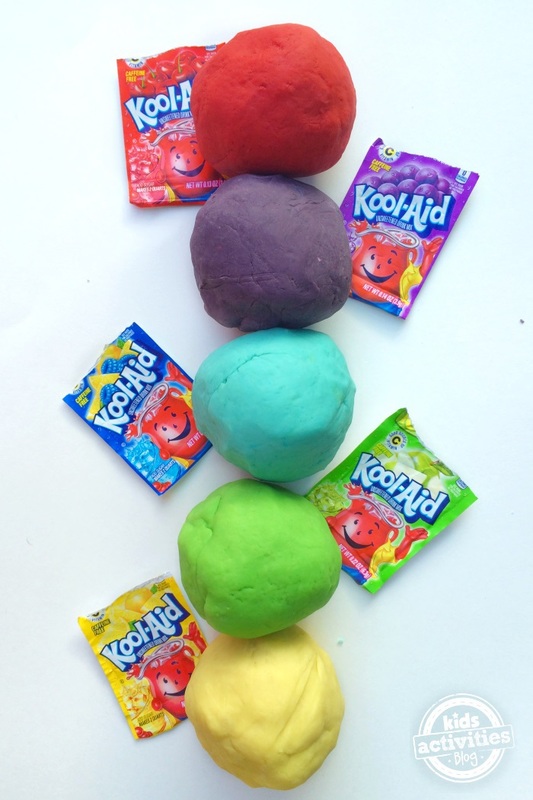 We prefer not to have our kids drink stuff high in artificial dyes – BUT they can still enjoy the flavors of summer, in Koolaid PLAY DOUGH. 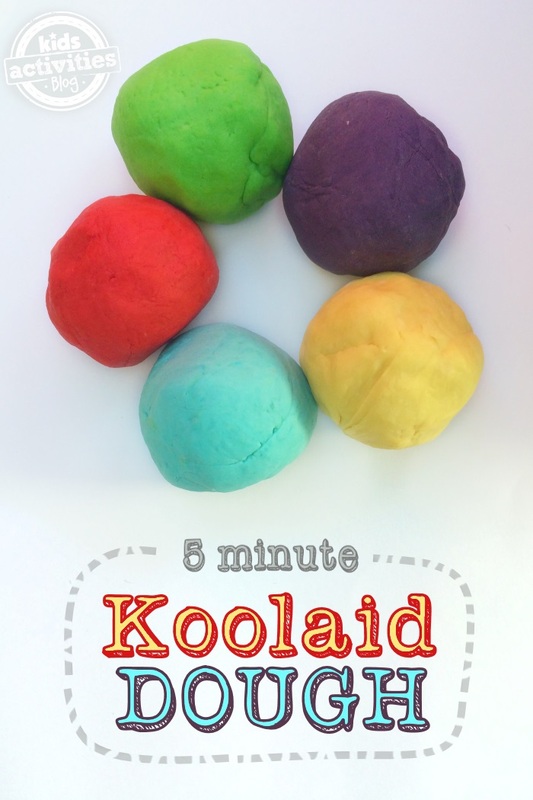 This recipe only takes 5 minutes to make! Many thanks to 36th Avenue and Fun at Home with Kids. 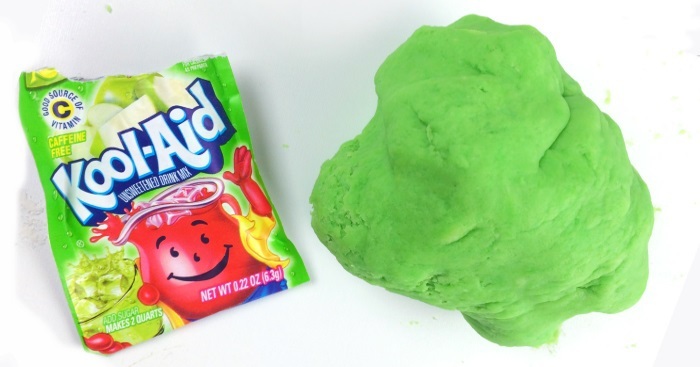 Desiree inspired us to add koolaid to our dough this week and Asia told us that we didn’t need to use the stove to make our dough – we can microwave it!! Thanks to both of you! 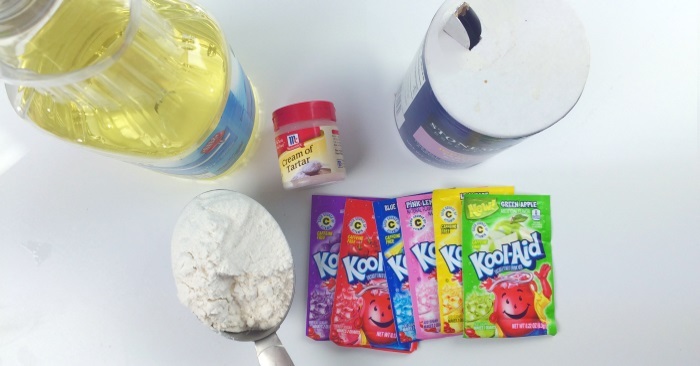 Mix all the ingredients into a bowl and stir them until they are all wet and mixed. Put your bowl into the microwave for 50-60 seconds. Stir the edges of your bowl and then let it sit for a minute to set. With a spatula stir the dough and then scrape it out of the bowl. Add another tablespoon of flour to your table surface and dump the dough onto it. Work the playdough until it is elastic. Total time = 5 Minutes! Marvelous! If the dough is stiff, add a teaspoon of water. If the dough crumbles, add another teaspoon of oil. If the dough is sticky, add another teaspoon of flour. If you prefer a “silky” dough, add a teaspoon of glycerin. NOTE: While all the ingredients in this recipe are “edible” we do not advise people to eat the dough. 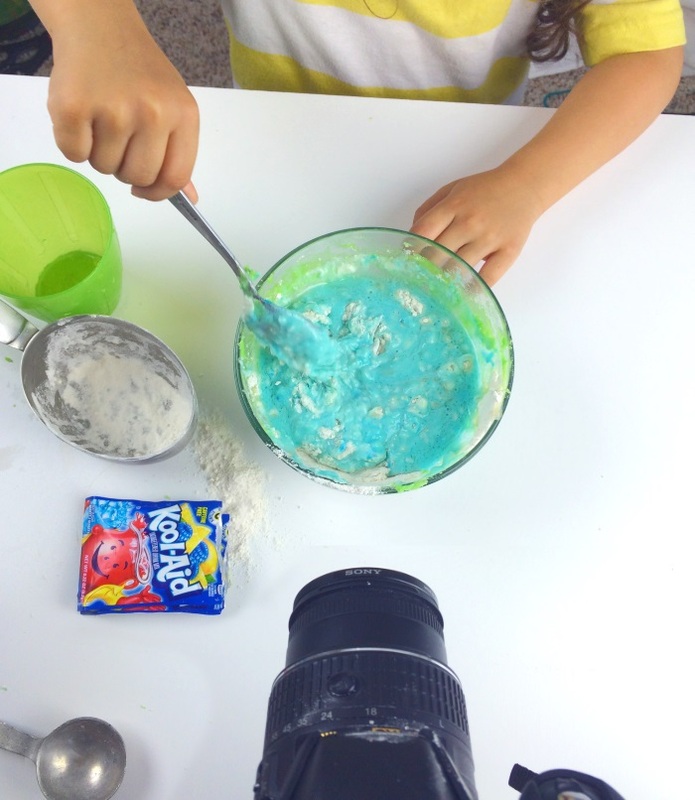 Kids can easily get sodium toxicity from eating homemade dough. Please encourage your kids to keep this OUT of their mouths!